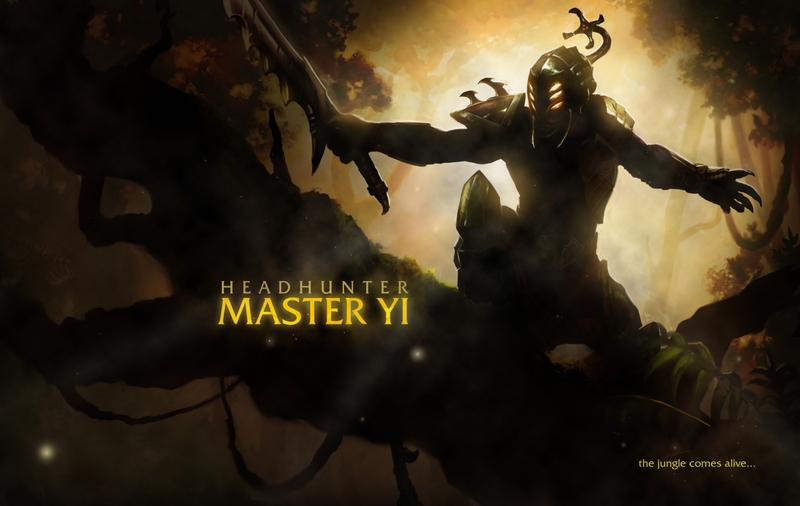 ﻿ League of Legends, Headhunter Master Yi skin. Any League of Legends player will tell you that sometimes the jungle on Summoner’s Rift can be a dangerous place. In addition to all of those wolves and lizards and golems, if you’re not careful you might run into something like this lurking out there in the trees! Allow me to introduce Headhunter Master Yi. Featuring some menacing new armor and brand new spell effects on both Alpha Strike and Wuju Style, this is one rendition of the Wuju Bladesman that you won’t want to run afoul of on a stroll through a wooded area. You may want to steer clear of the jungle for a while if you want to stay out of his trophy case! Headhunter Master Yi is coming soon to a Field of Justice near you, so stay tuned for more information on this fantastic new skin! Non vi resta che attendere il rilascio di questa nuova skin nello store di Riot Games. Un saluto a tutti da newaynews.